Sakrisøy Gjestegård – Welcome to the Manor House in Sakrisøy! The house you're about to step in was built in 1880 and carries within many wonderful stories about fishermen and their way of living in the Lofoten Islands, above the Arctic Circle. Contact us for more information regarding our guesthouse. 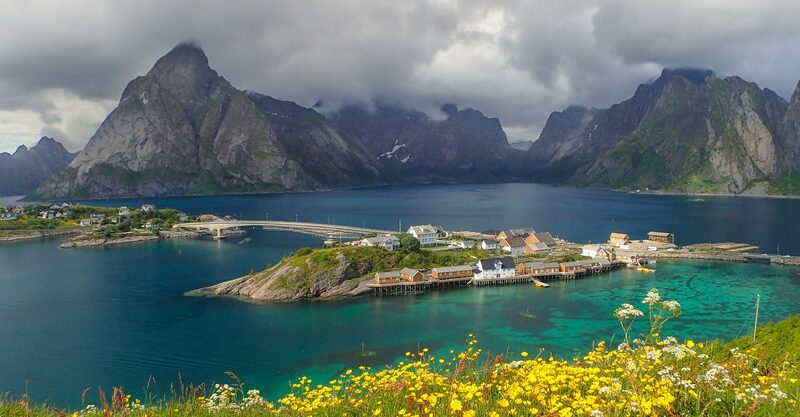 We can give you tips on planning your trip to Lofoten. Visit Lofoten and stay with us. We make the difference. Our address is: Sakrisøy, 8390 Reine, Nordland, Norway.